If you’ve ever experienced the gut-punch associated with (A) your bike taking a flyer off your roof rack, or (B) driving your pride-and-joy into a low-overhang–your garage, a parking structure or drive-thru–then you may want to check out RoofScope, a new preventative device from UK-based Leveret Productions. 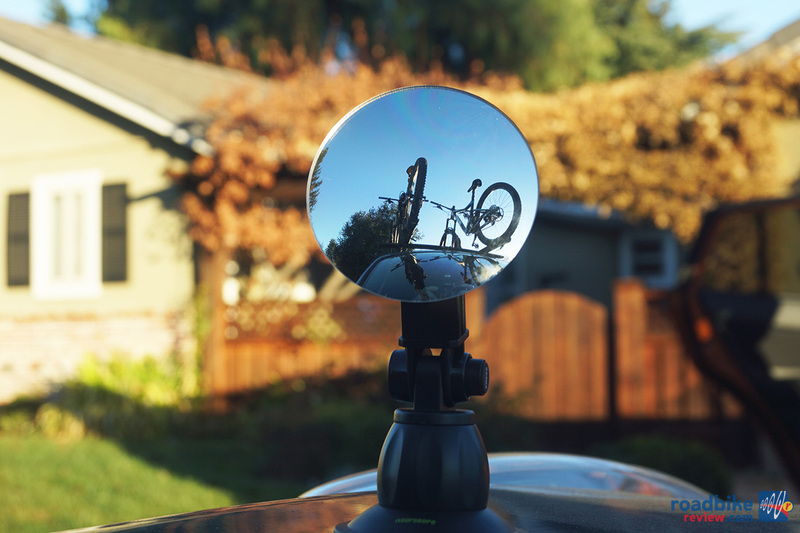 Essentially a wide-angle mirror that affixes to your car’s hood via suction cup, RoofScope allows you to take a peek at your roof-top valuables with just a quick glance. Setting up RoofScape takes just seconds–simply pick a flat spot on your hood, clean it off, mois-ten the suction cup, press base down and twist the fixing ring. Next mount the mirror which clicks into place by using 3M Dual Lock, a hook-and-loop type fastener that boasts superior hold strength. Finally, adjust the angle using the push-button-actuated tilt arm and aim the mirror by rotating it on the ball-joint. 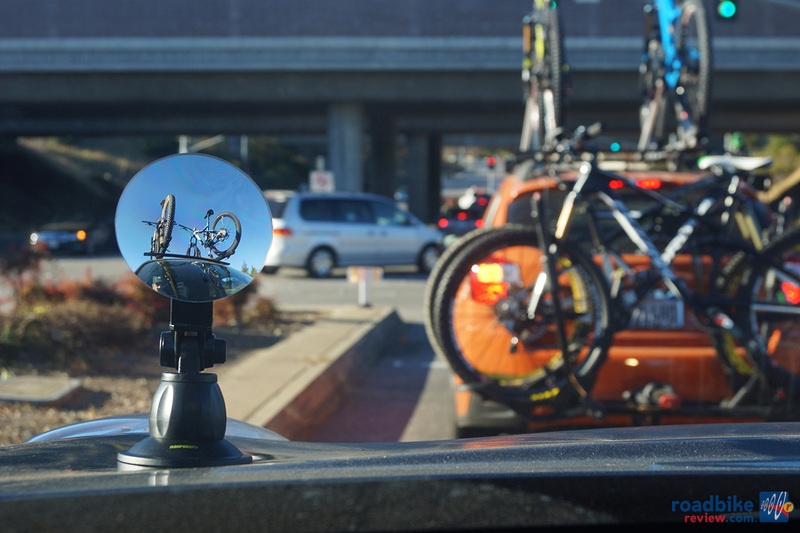 In our tests, RoofScope’s ideal mounting position was on the driver’s side close to the windshield so you get the tightest view of the bikes as possible. In use we found RoofScope to be both reassuring and useful. Like finding a sign on a trail you’re not quite certain of, RoofScope instills a certain sense of confidence that your bikes are securely fastened. It also helped us avoid hitting branches when pulling in to a trailhead parking lot. High-speed driving had no ill-effects on the unit and it remained stable throughout our testing on rough roads as well. In addition to the hood, RoofScope can be mounted on the windows or any other part of the bodywork where there’s a relatively flat spot. It might even make for some interesting double-fisheyePOV camera footage when used in conjunction with a GoPro camera, for instance. Though RoofScope doesn’t have a US distributor yet, it can be purchased directly from their UK website for $32. Chicago-born editorial director Don Palermini became a cycling-based life-form in the sixth grade after completing a family road bike tour of his home state. Three years later he bought his first mountain bike to help mitigate the city's pothole-strewn streets, and began exploring the region's unpaved roads and trails. 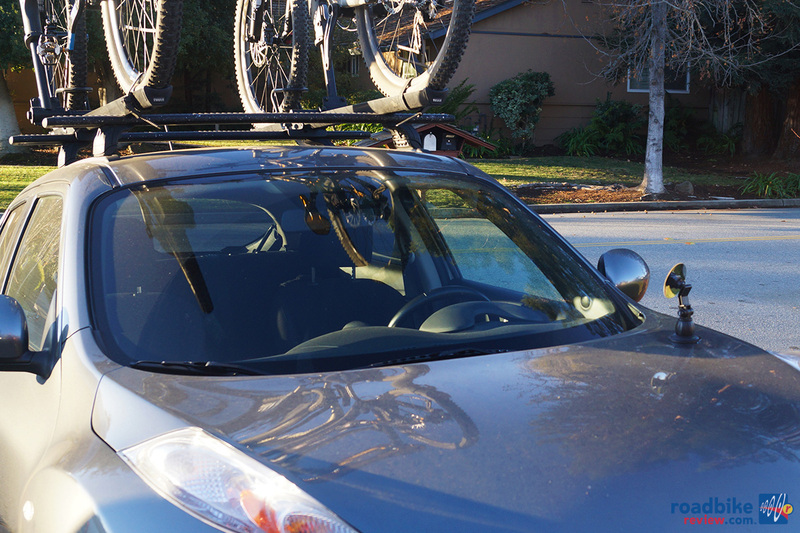 Those rides sparked a much larger journey which includes all manner of bike racing, commuting, on- and off-road bike advocacy, and a 20-plus-year marketing career in the cycling industry. Now residing in the San Francisco Bay Area and pedaling for Mtbr, his four favorite words in the English language are "breakfast served all day," together in that order.